You would not want to miss this important and life impacting event, so please come and be blessed. Fr. 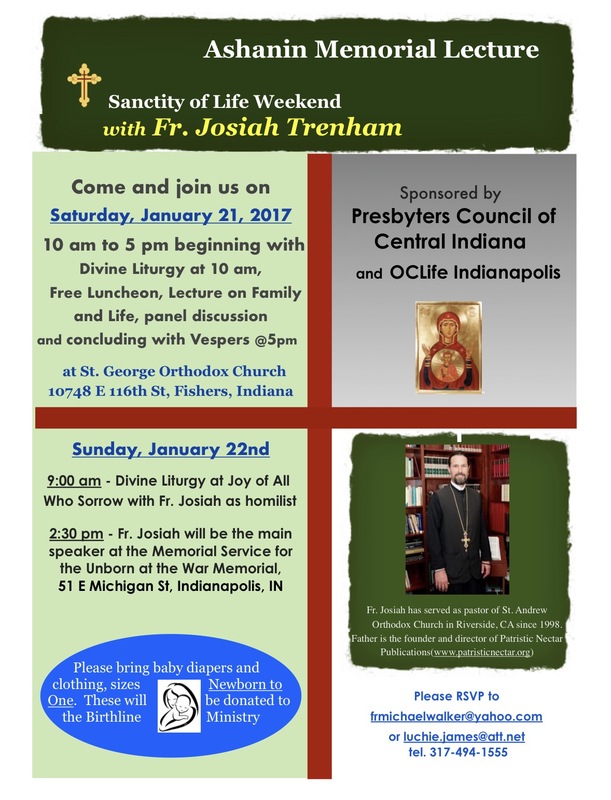 Josiah will also serve and be the homilist on Sunday, the 22nd 9 am, at the Joy of All Who Sorrow Orthodox Church, 1516 N Delaware St., downtown Indianapolis. 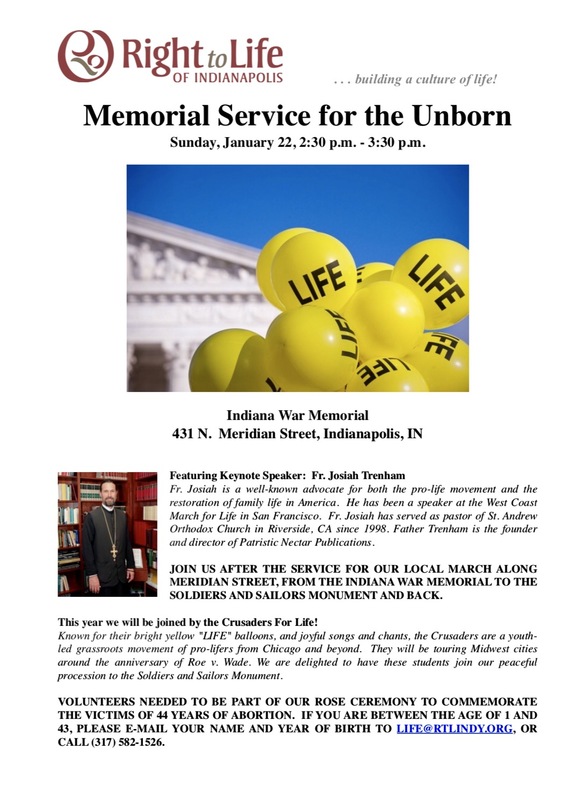 At 2:30 pm, he will be speaking at the Memorial for the Unborn at the the War Memorial, 431 N. Meridian St., downtown Indianapolis.